This item will be shipped from Japan. 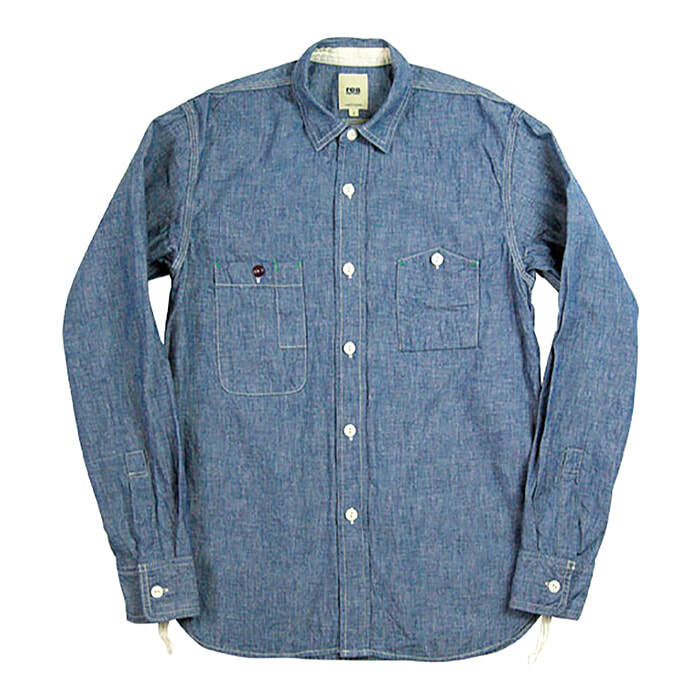 ​This chambray from Fob Factory has become a staple in my wardrobe. As someone who wears almost exclusively denim, it’s nice to break up a look with a colorful shirt like this one. 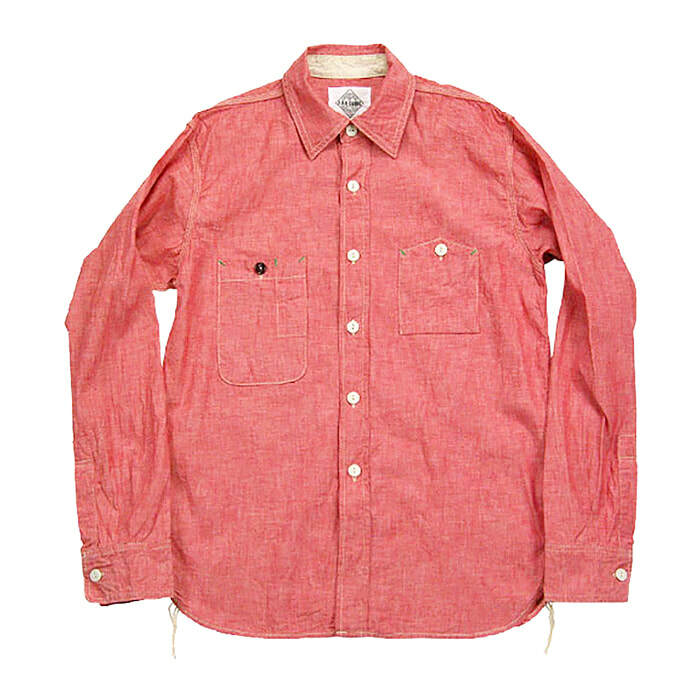 Don’t get me wrong, a blue chambray works just as well as anything with a dark pair of raw denim, but a colorful shirt like this one will add a lot of variation to your look. 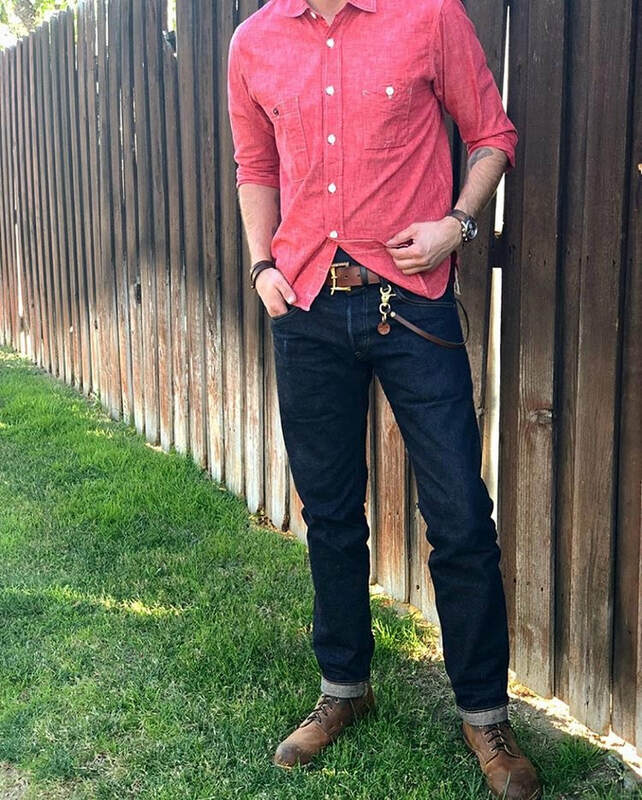 I’m a firm believer that the shirt makes the outfit, and what I mean by that is if I had to choose between 7 different shirts, vs 7 different pairs of denim for your weekly attire, I would choose the shirts; it’s a lot easier to get away with wearing the same pair of denim every day than it is to wear the same shirt. 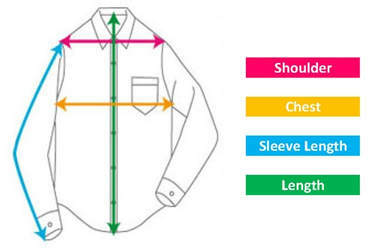 The construction of the shirt is as good as anything that I’ve seen from Japan, triple stitching on the sleeves, side seam and back. The 6.5 oz selvedge chambray is a nice light weight, especially when the majority of my shirt collection consists of heavy canvas and flannels. ​My favorite details of the Fob Factory chambray would have to be the un-uniform pockets, which I personally love, and it’s one thing you see a lot more frequently from Japanese brands than American brands. 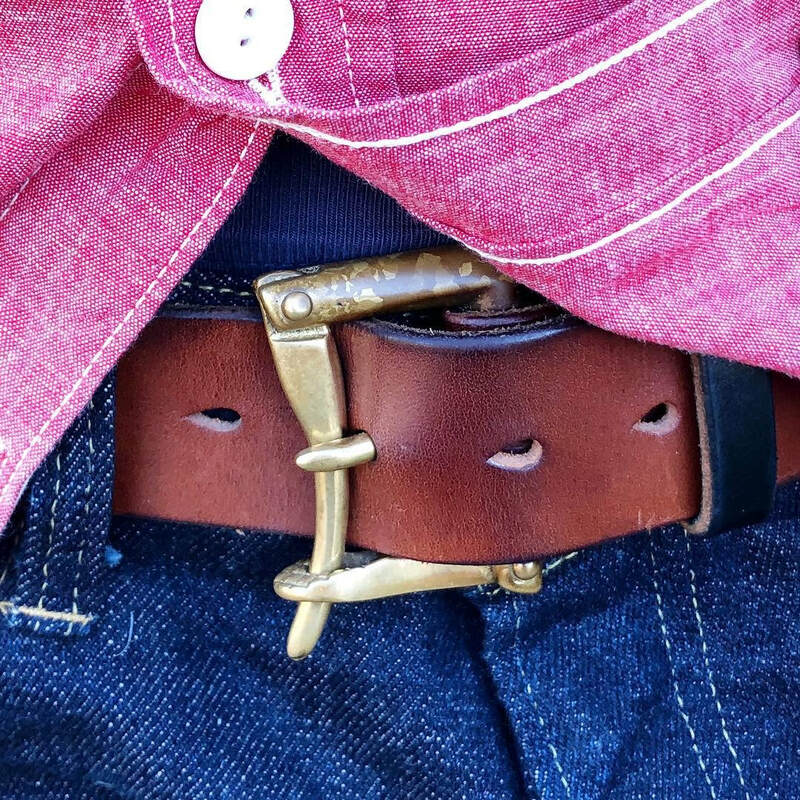 ​Little details like the selvedge side gusset with chainstitch run-off, green contrast stitching on the pockets, and the contrasting right chest pocket button lead to a unique shirt that has a lot more character than your average Jcrew chambray, setting it apart from the generic fodder that your average “stylish” Joe might be wearing. 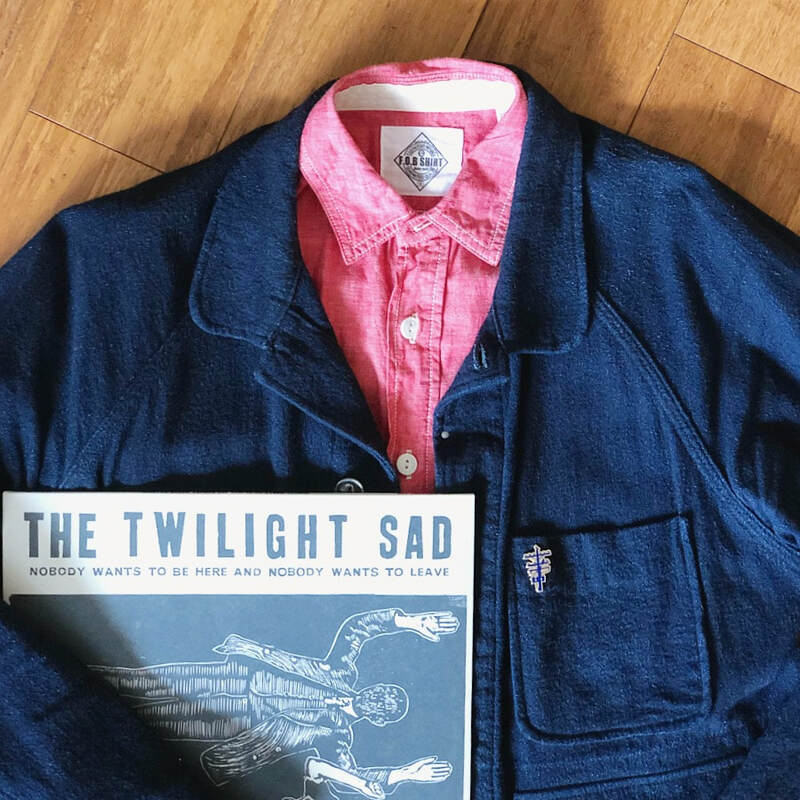 ​It’s easy to blur the lines between good style and great style, and while it’s easy to look good in a pair of dark denim and a chambray, it’s the little details that will set your look apart from the rest. The fit is what I’ve come to expect from Japanese brands, you definitely have to size up one from your US sizing. For reference, I am 6’2 175lbs, and typically wear a Large in US brands like Rogue Territory, 3Sixteen and the like, but I’ve found that XL or 42 is the perfect fit for me in Japanese sizing, and this shirt is no exception. ​Thanks for the great review, Isaac! !